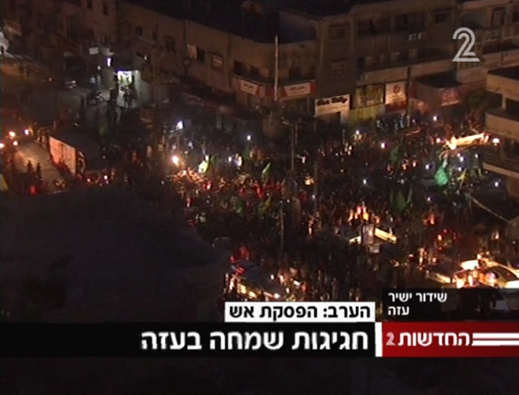 8:00pm Hamas Victory in Gaza includes: No Water, No Electricity, 350,000 refugees. All they get is the opening of the humanitarian conveys via the border crossings with israel (which Israel keeps open anyway). There will be discussions about an air/sea port for Gaza, but nothing is promised. Israel will discuss the demilitarization of Gaza, but nothing is promised. The cease fire has no stated end point. 7:58pm Update 1 dead and 6 injured in Eshkol attack. ********************************************************************************************************7:49pm PM Netanyahu did not bring the cease fire decision for a cabinet vote this evening, but decided on his own -- due to the probability that the cabinet would reject the cease fire agreement. 7:43pm Ceasefire seems to have started. The Egyptian plan says Israel must immediately open up the border crossing points. Hamas demands a (duty free weapons bonanza) sea port. Hamas claims cease fire has started. Reports of Gaza celebrations. Channel 10 reports that the IDF has been instructed to stop attacking Gaza (I didn't notice what we were attacking). Reports of 3 seriously wounded Israelis from the past hour's mega rocket barrage from Gaza. 5:22pm Gosh, so who do we believe? The Prime Minister's office told JewishPress.com that Israel has no negotiators in Cairo, and haven't had any there since the ceasefire was broken. They also said that Israel is not involved in any ceasefire talks in Cairo or anywhere else. And for good measure added, "Israel will not negotiate under fire". 11:38 am More damn rockets from Gaza. POOR ESHKOL. 11:20 am Eshkol region rocket alert. Egypt is waiting for an answer from Israel, if the government accepts the terms. The Gazans on their part have agreed. 9:26am In 7:06am rocket strike on home in Ashkelon, 21 people were lightly injured, and another 20 people were treated for shock. Most of the injuries were from broken glass. 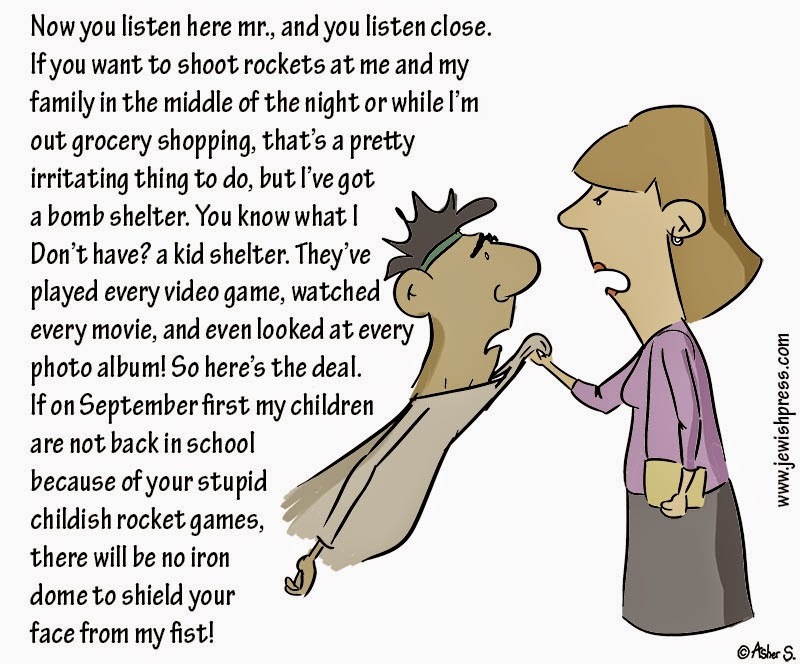 The parents were moving the children to the bomb shelter when the rocket directly hit the parent's bedroom. Several homes around the hit home were damaged. 7:23am IDF Spox Video (English) on the terror infestation in Gaza. 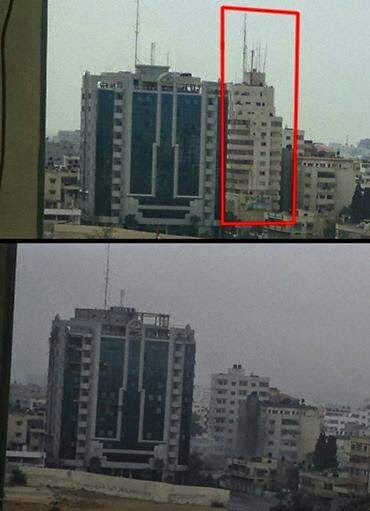 7:10am Terror target hit in Gaza last night by IAF airstrike....see building before and after photos of a 13 story building terror target. 7:06am Direct hit on a house in the Ashkelon region. No known reports of injuries at this time. 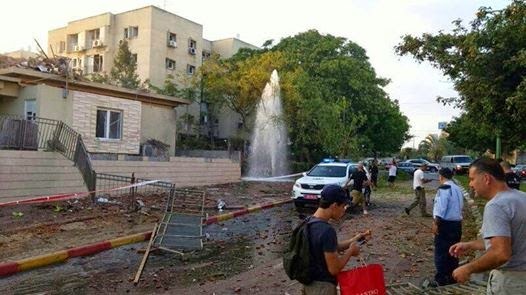 Direct hit reported on a building in the Ashkelon area....emergency forces responding. 1:10am Nature abhors a vacuum. If no one else is going to take the lead in fighting Islamic terrorism, then some of the more unlikely players are going to step up to bat. 12:35am After consulting with the IDF, the Kiryat Shmona municipal council has decided against opening public bomb shelters and requesting for the public to stay in shelters. 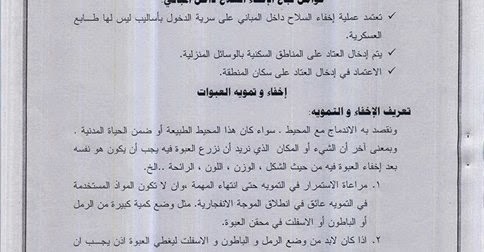 12:07pm Egypt has put forward a proposal for a 1 month ceasefire, to begin at 7am on Tuesday. Reportedly, Hamas has embraced the plan, and they are waiting for Netanyahu to respond. There has been no comment fro Jerusalem on this story. During the ceasefire, Israel and Hamas would continue to negotiate. 1 month from now, when the ceasefire would end (presuming that Hamas doesn't break the ceasefire earlier) is Rosh Hashana. 12:03pm 22 Israeli-Arab in wadi Joz arrested by police for throwing rocks at vehicles. 11:26pm The IDF has not given any directives regarding the security situation in Northern Israel. The Kiryat Shmonah municipality has taken the initiative and requested that all residents stay in protected areas, and that all public bomb shelters be opened. 11:20pm Update: 2 confirmed Katyusha rockets were fired earlier from Lebanon. IDF originally thought only 1 was fired. This may be the source of the reports that the siren didn't go off for second rocket. 11:09pm IDF retaliates with heavy artillery fire, following rockets fried from Lebanon into Israel. "Oy... I say tank God for de Republican gentiles. You know, if de evangelicals didn't fight for de Jews, da Jews would never know they have a right to defend temselves..."
Who was the genius that decided the track HAD to go through Shuafat? I bet he was also surprised when Hamas took over Gaza. 10:21pm Just what we needed....rocket alert sirens in the Northern Golan....Kiryat Shmona...Metulla...Upper Galilee. ..
7:59pm 5 Southern Kibbutz barns hit yesterday by Hamas rockets. Dozens of cows killed. Where is PETA?? 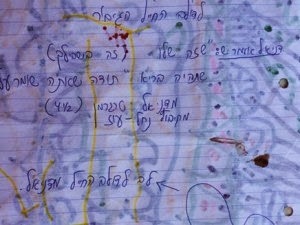 5:20pm This is just too sad: Killed by Hamas rocket -- Daniel Targerman's (age 4) letter to a wounded IDF soldier. 3:30pm Message from the Israel Police: Missing Person at Risk. 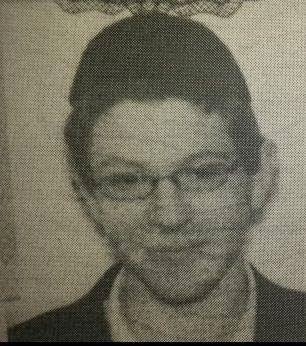 Aharon Sofer, 23 from Jerusalem - last seen in the Jerusalem Forest, at noon on August 22, 2014 -- is missing. He is of slight build, 1.75cm tall, wears glasses, with a short reddish beard. He was was last seen wearing black pants, a white shirt and a black kippa. 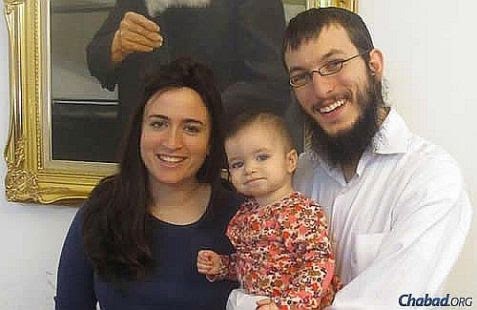 Anyone who has any information about this person should please call the Israeli police at 100, or at 02-5391520. 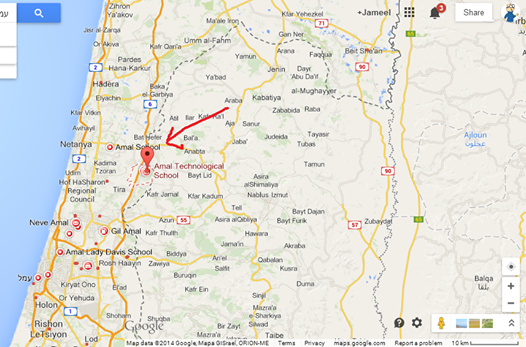 2:21pm Gunman opens fire in the Amal polytechnic school in the Israeli-Arab town of Taibe - killing the school principal. This morning an unidentified gunman opened fire in the Taibe Amal PolyTech high school, killing the principal, Yusef Haj-Yichye in front of his teaching staff. The gunman fired 5 bullets and fled. An ambulance took the principal to the Meir Hospital in Kfar Saba where he was pronounced dead. Haj-Yichye was the principal of the school for many years, and announced that he would be running for mayor of Taibe in the next municipal election. Haj-Yichye was also considered to be one of the main reasons that the Taibe Amal Polytechnic-multidisciplinary school consistently improved and that the student body's academic achievements routinely rose from year to year. 12:53 pm From the IDF Spox: During Operation Protective Edge, IDF soldiers captured a Hamas manual that recommends storing explosives in Gaza’s civilian homes and calls for bringing the battle into populated areas. 12:34pm Israeli Study -- Moderate consumption of alcohol (social drinking) can reduce anxiety and depression related to terror and war, according to an American-Israeli study which explored this link among Israelis during the 2008 Operation Cast Lead in Gaza. This sort of drinking must be done in moderation -- to prevent people from running into a closet instead of the bomb shelter. 8:44am Rocket alerts in Eshkol. Channel 10 TV reports the sirens in Central Israel minutes ago were false alarms. 8:18am Barrage towards Central Israel: Herziliya, Raanana, Hod HaSharon, South Sharon, Sharon Coastal regions. Last night the IAF hit 35 targets in Gaza including 2 terrorists shooting rockets at the Gaza border communities. Additionally, 2 mosques were attacked by IAF airstrikes: one was used as a weapons storage facility and terror center. The other was a North Gaza terror coordination center and meeting place for terrorists. 2:28am Are we in a secret ceasefire? 1:39am Hamas knows what goes in and out of all the legal crossings and smuggling tunnels in Gaza. They know when Gazans are crossing into Israel. This attack on Erez today was timed to hit their own people and their Israeli-Arab relatives.